“Take yourself out of autopilot,” encouraged Janice Marturano, a former executive at General Mills and now head of the Institute for Mindful Leadership. Her plea was part of an overall recommendation towards purposeful pauses featured in, In Mindfulness, a Method to Sharpen Focus and Open Minds (NY Times 3/23/2012). She reasoned that with mindfulness, “overtime you’ll feel more focused and connected to yourself and others.” Reverse autopilot. Could that concept benefit you? I found the autopilot reference provocative. Is autopilot a shield? I know I drop into autopilot regularly to get my two elementary school-aged children between here and there – fed, watered and with appropriate attire or materials in hand. These swings usually happen at the end of a day when I am pivoting from focused attention on work to focused attention on a broader set of to do’s. I reason that ‘autopilot’ is how I fit in the impossible. For those who parent, all manner of complexity and volume needs to be addressed in time for baths and bedtime. Sound familiar? If I’m honest I also invoke autopilot depending on my interest level as I chop through my day. I parachute into this state for meetings or calls that require my attendance but aren’t necessarily the best use of my time. Do you ever pivot to this approach? Transition is offering me an alternative to some of these traditional autopilot moments. It isn’t because of my commitment to breathing exercises nor a particular yoga pose. My sense is that it’s a mindset that accompanies transition….and it is making a significant difference. My transition mind allowed me to drop back, ignore the data vortex and ask the question, “How do we plan to make a decision?” Instead of continuing the data debate we got onto a set of actions that might accelerate our process. Could it possibly be that transition has challenged me to think more broadly – but in a focused manner – about what matters? Since February 2012 I’ve been fooling around with a purpose statement for my transition. It goes something like, “I’m interested in women’s development.” While there are sentences that follow, the statement allows me to chop through many details and requests that would otherwise become detours for my overall transition. It offers me focus but still leaves a wide gate through which to explore how exactly that statement manifests itself in my life. By the way, long time readers may recall I’ve referenced the elevator pitch tool on Harvard Business School’s website. Don’t be cowed by its call to entrepreneurs to fashion a pithy statement for their business. It’s great personally. It is a free, easy to use and practical. Certainly worth your attention some night you have 5 minutes of downtime…. Here’s a metaphor that may bring my focus point home. 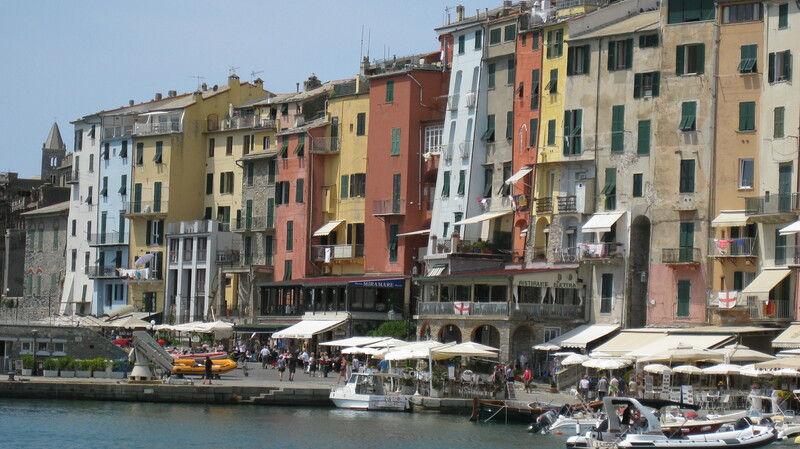 My eight year old son took today’s image of Porto Venere on Italy’s Ligurian Coast. Some viewing this image might immediately focus on the buildings themselves which are individually bordering on decay. Faded colors. A bit of plaster that needs repair. No plumb lines. Others would see a more holistic image. A beauty composed of irregular rooftops. A varied palette. In total, a grouping that serves as a formidable anchor on the edge of the sea. My purpose statement allows me to see the holistic view and then pick and choose which structures to focus on. There’s still a lot of experimentation but I feel less buffeted by a storm of things that I could, or should, focus on. Focus, in my transition, has allowed me to open up a whole new set of possibilities that I couldn’t see before. Pre-focus I was chasing around after all manner of things – some of which I considered interesting, much of which others thought interesting for me. I’d be remiss if I didn’t add that my focus is accompanied by a peacefulness that I imagine to be present in the practice of mindfulness. It directs my energy towards a broad albeit refined set of possibilities. This little journey, thanks to transition’s peace gift, comes without the guilt that seemed always present when I was advancing along someone else’s view of me. Tell me…is it time for you to focus? 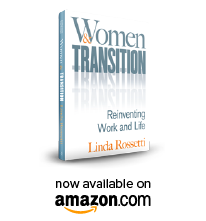 This entry was posted in Observations on Transition and tagged career transition, harvard business school, observations from a women's transition, transition, women's transition issues. Bookmark the permalink.